Crawl under the seats, and between the legs of the people sitting in them, until you reach the back and freedom! Just run faster then your grown up! In a push chair? Chop the bottom out and drive it around Flintstones style! Dont have a push chair? Just pretend the seat you’re on is a car instead! Does your church have pews? Bring a car in… those little ledges behind each pew makes a great race track. Ensure there are sounds effects. Wave at other little people sat in other parts of the hall. Wait till any silent moments before your shout “HELLO”. Is your parent leading the service? Make sure they don’t misbehave by going up front and keeping them company. Is your parent the hugging, needy type? Demand a hug. When they pick you up… scream that you want to be put down. Congratulations. You have managed to make it to Church. Actually hang on, you’ve managed to get to Church and not forget any family members on route. Massive Congratulations on not losing anyone. Now, if your group includes a child, you need to remember – there are certain dangers you need to look out for when you take a child to Church. Being late, and having to contend with a church warden / steward “encouraging” you and your wiggly toddler to the front of the Church… whilst there are safer seats (and space to run at the back). Vicar: “Now lets take a moment of silent prayer”. Little One: “I NEED A POO!!!”. Formally breast fed toddlers getting jealous of the sight of a really little one getting breast fed… and running over to get a quick meal. The kid getting confused between a potty and the baptismal font. Is it your turn on the preaching rota? This will be the Sunday when your kid demands to play trains…with you… during the sermon. Has your toddler ever took their nappy off by themselves? THIS could be when they work it out! Toddler. Tantrums. Could be anytime? Your child refuses to be in their group (koala effect), but is too unsettled to be quiet enough for you to take them into the main service, hence you are stuck in the corridor limbo. Any more you’ve come across? Post originally appeared on The Dads Sofa. Christmas with a toddler, I’m sure you can imagine brings its share of challenges and joys. Challenges are such as wondering how much chocolate you should allow them to eat, and for yourself, how much alcohol can you drink on Christmas Eve, and cope with the earlier wake up on Christmas Day. The joys… well… there are toys, Toys, and more TOYS. But what toys should you bring to church? Includes a hole to play “Boo” through, an excuse to pretend to loudly eat Daniel, and a chance to make lion style “Raaaa!” noises. 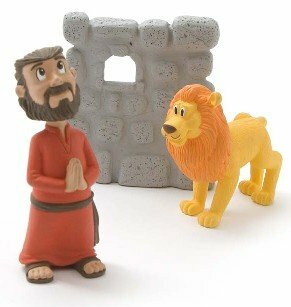 With no inbuilt noises, this would be a great toy to keep little ones quiet in church. Found at Amazon. Do you enjoy those Monopoly inspired arguments? How about having an excuse to have those arguments in the back of the church hall? Bearing in mind this is “A monopoly version where cooperation and not accumulation is the key”, I cant help but feel that if youre sneaky enough to win at Monopoly, then you’ll win at this. Just remember to make your peace with each other before communion. Found at Amazon. I’m sure toddlers would love playing with the money, or consuming the church pieces! 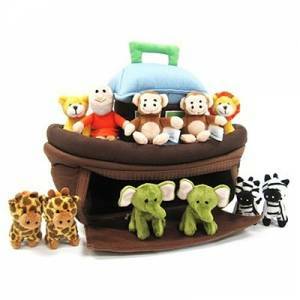 Plush Noahs Ark 10 Piece Play Set. All those animals! For so long! Did they all get on all the time? Or were there massive arguments? Did a monkey try fighting a lion? 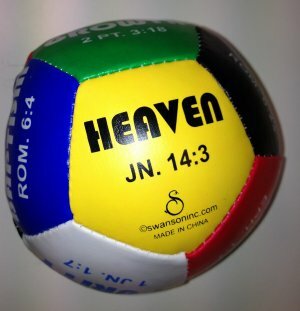 Bring this toy to church and let your little one work it out! We’re told to make a joyful noise to the Lord! 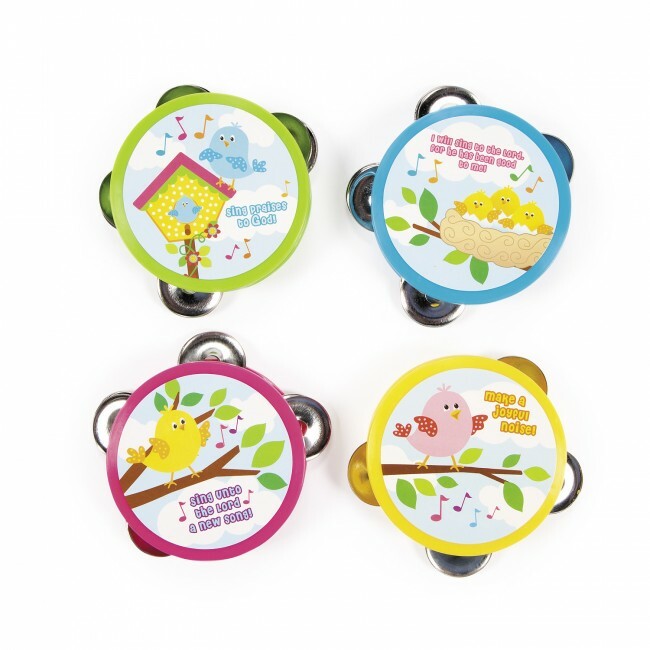 Make a joyful noise with these “Make a Joyful Noise Tambourines”. 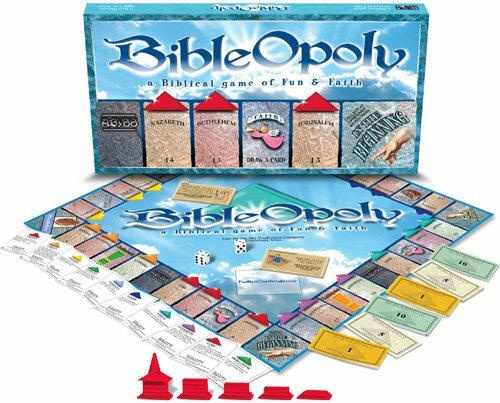 Great for use during sermons! Dont just listen to the sermon / talk on David and Goliath. 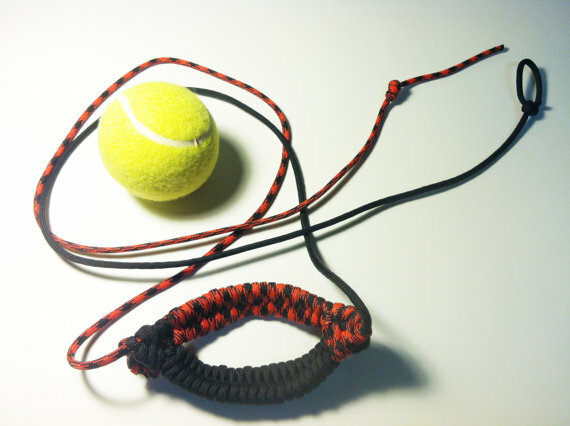 Your kids could be David with this slingshot! Again bonus points if they (you) hit the speaker! Hope you find this useful. Please share in the comments below if you know of any other useful toys to bring to church. 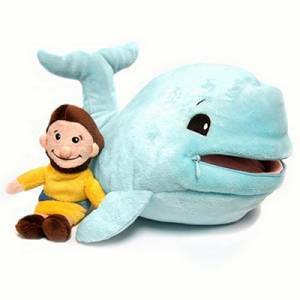 The Sofa is pleased to share this guest blog from Kate from Londonwithatoddler.com. 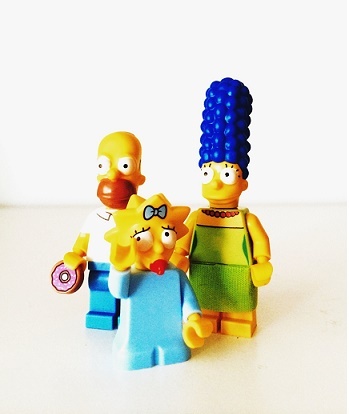 Kate describes herself as a “mother, writer, thinker. Granted, the kind of things I think about are along the lines of “What’s that smell?” or “Where can I buy chocolate around here?”, so maybe not that much of a thinker. But I am definitely the first two”. Recently she has been thinking about the many different ways kids could disrupt Church Services. Children in church is always one of those contentious issues that puts people on edge – parents are constantly anticipating the next cry of “But what IS a virgin?” during carol services, meeting leaders are always keeping a close eye on where they leave that cordless microphone in case it falls into the small hands and the pensioners are torn between cooing at the cute baby and wishing that they would stop crying because it really interferes with their hearing aid frequency. As with all things though, isn’t it the unknown and unpredictable that causes the most worry? So, with that in mind I have spent some time studying the habits of children in church and have put together this handy age-by-age guide of just how children will disrupt your service. Once you can predict their movements, you can relax. 1-3 The toddler. Comes with the advantage that they can be bribed into near-silence with a packet of Hula Hoops. Comes with the disadvantage that they will throw a tantrum if the packet is the wrong colour or they don’t have the right sippy cup. Prone to hiding under the altar/welcome desk and arguing with each other. 3-5 The age of maximum destruction. The world record for the number of times a 3-year-old has run around the entire congregation in one service currently stands at 5500. Depending on the length of your service, that’s between 30 and 92 circuits per minute. Consider that for a second. They also enjoy playing the piano/drums/percussion/anything they can get their hands on as loudly and frequently as possible. Keen on doing actions at the front but almost impossible to remove once they’ve taken to the stage. Never let them near a microphone unless you want the congregation regaled with tales about dinosaurs or mangled versions of the “Octonauts” theme tune. 5-10 School age. Where children can theoretically sit quietly and pay attention to someone talking for literally minutes on end. Pity that they squeeze every ounce of their “sitting still” ability out during the working week. So, they’ll spend Sunday mornings complaining that they’re bored and asking when Kids’ Church starts. Then they’ll find another 45 minutes’ worth of good behaviour for the Childrens’ workers before melting down during coffee time and forcing their parents to abandon their much-needed cup of hot caffeine. 10+ The dreaded Youth. A time of drink, drugs and wild living…and that’s just the Youth Pastor. Expect the worst and it probably won’t happen, but they will almost certainly fall asleep during the preach after a heavy night of partying/video gaming/Bible studying. Teenagers are not natural morning people. Employ a few drum shields to deflect the worst of the snoring. So now you’re prepared….let the little children come to you. 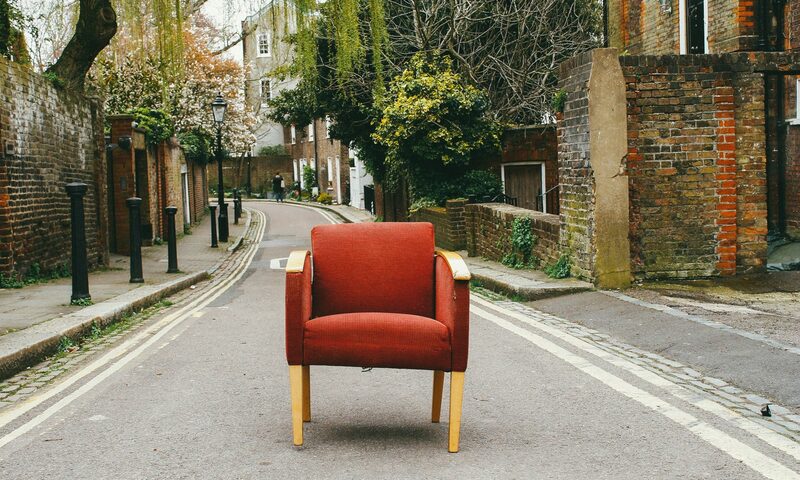 Would you like to guest post for The Church Sofa? If so give this a read and drop me an email!